A warm welcome from the founding director of Seolta Music, Mark Armstrong. 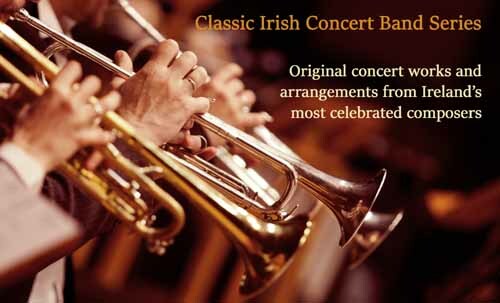 Since 2008, Seolta Music has provided Irish choral music and classic Irish compositions and arrangements for concert band to ensembles all around the world. We hope that you find what you are looking for - if not, please do not hesitate to contact us directly! We also stock a large range of music for Solo voice and Concert Band - from operatic favourites to music theatre to Irish songs and unique arrangements for Bagpipes and Concert Band. We are delighted to introduce College Choral Series - a growing collection of imaginative and stimulating contemporary Irish choral music. Works by Irish composers are featured in this series, as are works by international composers based on Irish texts. We are proud to publish this series in association with The Choral Scholars of University College Dublin - Ireland's foremost collegiate choral ensemble. A Wexford Rhapsody - A medley of melodies from Co. Wexford arranged by T.C. Kelly in a truly symphonic style. Finnegan's Wake - An exciting and colourful arrangement by A.J. Potter full of rhythmic variety. Lament for Youth - An arrangement of two Irish airs by J. F. Larchet - a slow melody to start followed by a jig and ending with a combination of both tunes. Rollicking Rakes - A new twist on the Irish song 'The Rakes of Mallow' by James Bolger. An ideal encore piece to show of the technical ability of your band. Mise Eire - Sean O'Riada's iconic melody for the movie of the same name arranged for wind band by Mark Armstrong.